You, or a loved one, was pulled over by police on suspected drunk driving. The officer asks you to get out of the vehicle and asks to administer a breath test. This is a common scenario many Florida drivers encounter. In fact, there were over thirty thousand DUI-related stops and arrests in the Sunshine State in the most recent year of available data, according to MADD. What Exactly Constitutes a Breath Test? The breath test is a common form of chemical evidence used in DUI criminal cases. If an officer has probable cause to suspect you were driving while intoxicated, they can ask you whether you agree to have a breath test administered to you. Florida has an implied consent law that actually requires all licensed drivers to submit to a breathalyzer test if legally requested to do so. If you refuse to submit to the test, your punishments, if you are convicted, will be “enhanced.” The Intoxilyzer Series 5000 and 8000 are the most commonly used breathalyzer machines. Can You Refuse the Breath Test? Yes, but as mentioned, a refusal exposes you to much stiffer penalties if you are ultimately convicted. Nevertheless, the unique circumstances of your situation should dictate whether it makes sense to agree to the breath test or to refuse. If you refuse, the evidence available to the prosecutor is limited to the fact that (i) you were provided with an opportunity to provide a breath sample, (ii) you were told that failing to blow into the breathalyzer might be used against you in court, and (iii) you exercised your right to refuse the breath test. 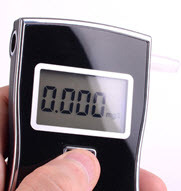 Here’s the catch – refusing a breath test can be as damning as blowing above a .08. Why? Because a prosecutor can attempt to infer that were under the influence of drugs or alcohol and you chose not to blow out of concern of that fact being discovered by police. Of course, there are multiple reasons why not blowing into a breathalyzer has absolutely nothing to do with a guilty conscience. Instead, you may actually have had reasonable concern that the breathalyzer would yield a false positive and that false evidence would be used against you. As mentioned, refusing a breathalyzer carries stiffer penalties. If convicted, you could be subjected to a driver’s license suspension of twelve months for a first refusal and you cannot apply for a business purposes license for 90 days. It increases to eighteen months for a second refusal. Getting charged with a DUI is a traumatic and potentially overwhelming experience, especially if it is your first offense. We are here to help. 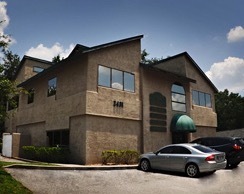 From our office in Winter Park, Cotter & Zelman, P.A. represent clients throughout central Florida in numerous criminal law matters, including DUI. To schedule a free consultation with a lawyer at our firm, call 407-629-4711 or contact us by email.